Recent years have seen increasing numbers of debt securities listed on the Stock Exchange of Hong Kong Limited (Exchange). At the end of 2015, 762 debt securities were listed on the Exchange’s Main Board, compared with just 169 at the end of 2010. Of those listed at the end of 2015, 155 were RMB-denominated bonds (or dim sum bonds). There were 177 new listings of debt securities in 2015 which raised HK$750.8 billion. 24 of the newly listed debt securities were RMB bonds with an aggregate principal amount of RMB44.85 billion. September 2014 also saw the first listing of an Islamic bond on the Exchange, issued by the Hong Kong Government. There are two principal types of debt securities which can be listed on the Exchange: (I) debt securities which can be offered to public investors in a retail offering which are listed under Chapter 22 to Chapter 36 of the Main Board Listing Rules; and (ii) debt securities which can only be offered to professional investors which are listed under Chapter 37 of the Main Board Listing Rules. The vast majority of debt securities listed on the Hong Kong Stock Exchange are “professionals only” issues listed under Chapter 37, due in part to a simplified regime for listing debt securities that are offered only to professional investors under Chapter 37 which came into effect in November 2011. The list of debt securities issued to professional investors only is available on the Exchange’s website at http://www.hkex.com.hk/eng/prod/secprod/debt/professional_debt/list.htm. Recent years have also seen an increasing number of RMB bonds issued in Hong Kong by foreign and Hong Kong issuers as well as Chinese issuers, which are increasingly being listed on the Exchange. The following provides a summary of the key requirements for listing retail bonds in Hong Kong where the issuer is a company under Chapters 22 to 36 of the Main Board Listing Rules. The issuer (and guarantor, if any) must be duly incorporated under the laws of its home jurisdiction and comply with those laws and the provisions of its memorandum and articles of association or equivalent documents. If the issuer (or the guarantor in the case of a guaranteed issue) is not listed on the Exchange, then the issuer (and guarantor, if any) and their respective businesses must be suitable for listing in the opinion of the Exchange. 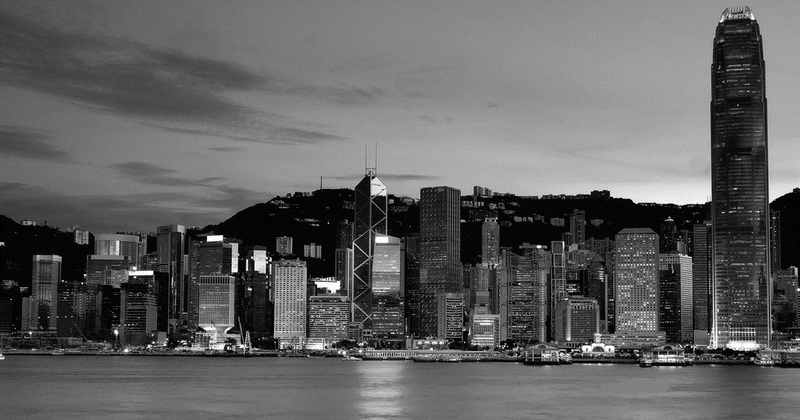 if the issuer’s equity capital does not have a primary listing on the Exchange, it is not satisfied that the issuer is incorporated in a jurisdiction where the standards of shareholder protection are at least equivalent to those provided in Hong Kong. In this case, the Exchange may be prepared to approve the listing if the issuer is able to amend its constitutional documents and/or its listing agreement to provide standards of shareholder protection which are equivalent to those provided in Hong Kong. Where the securities are in registered form, a register of holders must be maintained in Hong Kong, or such other place as the Exchange may agree, and for transfers to be registered locally. In the case of bearer securities, provision must be made for the payment of interest and repayment of principal in Hong Kong, or such other place as the Exchange may agree. the nominal amount of each class of debt securities for which listing is sought must be at least HK$50 million. In exceptional circumstances, the Exchange may be prepared to accept a lower minimum nominal amount if it is satisfied as to marketability. The issuer (or, in the case of a guaranteed issue, the guarantor) must have produced audited accounts in accordance with its national law for the three financial years preceding the application for listing. A period of two years may be acceptable in exceptional circumstances. The latest financial period reported on by the reporting accountants must have ended no more than nine months before the date of the listing document. If the issuer is a bank, audited accounts are required for the two financial years preceding the listing application and the latest period reported on by the reporting accountants must have ended no more than 15 months before the date of the listing document. The issuer must maintain a paying agent at an address in Hong Kong until the date when no debt securities are outstanding, unless the issuer performs the paying agent function itself. Any document which offers a company’s debt securities to the public must comply with the detailed contents and other requirements of the Companies (Winding Up and Miscellaneous Provisions) Ordinance (the CWUMPO) and must be registered as a prospectus with Hong Kong’s Registrar of Companies. The prospectus must be in English and must be translated into Chinese. The English language version may be distributed separately from its Chinese translation provided that both are made available at each place where the prospectus is made available. Disclosure in the prospectus is also subject to the overriding obligation that the prospectus must contain sufficient information regarding the issuer and the guarantor (if any) and the debt securities for which listing is sought to enable an investor to make an informed assessment of the activities, assets and liabilities, financial position and management and prospects of the issuer and guarantor, if any, and of their respective profits and losses and of the rights attaching to such debt securities. The Exchange may also require disclosure of such additional or alternative items of information as it considers appropriate in any particular case. It may also be prepared to allow the omission or modification or items of information in particular cases. Issuers should thus seek informal and confidential guidance as early as possible. The directors of the issuer (and the guarantor, if any) are required to accept responsibility for the information contained in the prospectus and a statement to that effect must be included in the prospectus. Where the issuer is a bank, the Exchange allows it to omit from the prospectus certain items of information specified in Part C of Appendix 1 (i.e. the information at paragraphs 34, 37(2)-(7), 38, 40, 41(2), (3) and (4), 44, 51 and 52. Where an issuer’s equity securities are listed on a regulated stock market recognized by the Exchange (which include the New York Stock Exchange and NASDAQ), the Exchange may be prepared to allow the omission of certain information from the prospectus. Overseas issuers which are subject to public reporting and filing requirements in their country of incorporation or listing may be allowed to incorporate in their prospectus relevant documents so published. For example, issuers subject to the Securities and Exchange Commission filing requirements in the US may be able to use such documents. The Exchange should be consulted in such cases. The following sets out a general timetable for the issue and listing of debt securities on the Exchange, although the actual timetable will depend on the nature of the issuer and the complexity of the particular case. 2 copies of a draft of any statement of adjustments to the accountants’ report included in the prospectus. to lodge with the Exchange in accordance with rule 24.14(9) a declaration and undertaking, in the form set out in Form B in Appendix 5, duly signed by such director or member of the issuer’s governing body. If the director or the member of the issuer’s governing body is appointed after the submission of Form C2, then the director/member of the issuer’s governing body must submit a duly signed written confirmation and undertaking as soon as he is appointed. The reference to the prospectus in the confirmation and undertaking shall be read as a reference to the relevant draft prospectus that contains the biographical details of such director or member of the issuer’s governing body. a certified copy of the written consent by any expert to the issue of the prospectus with the inclusion therein of the following in the form and context in which they are included: — (a) a statement purporting to be a copy of or extract from or summary of or reference to a report or valuation or other statement by such expert; and (b) any recommendation by such expert in relation to acceptance or rejection of an offer or proposal. a written declaration and undertaking, in the form set out in Form B in Appendix 5, duly signed by each director/member of the issuer’s governing body. An important point to note is that the prospectus cannot be issued until the Exchange has confirmed that it has no further comments. It is therefore common practice to circulate a preliminary prospectus to relevant investors shortly before pricing and for the final version to be circulated after pricing. The above is a summary only of the principal requirements for the listing of debt securities on the Hong Kong Stock Exchange where the securities are to be listed by a corporate issuer. This note is provided for information purposes only and does not constitute legal advice. Specific advice should be sought in relation to any particular situation. This note has been prepared based on the laws and regulations in force at the date of this note which may be subsequently amended, modified, re-enacted, restated or replaced.